Size or fashion. Is it really one or the other? A couple of months ago, I was featured in an online article about my work with YOU BELONG NOW and the writer described me as a plus size blogger. Apparently, fat women can’t be fashionable, stylish, love fashion, have an opinion about fashion, work in fashion, or even think about fashion. We’ve all heard people say or even said ourselves, that the industry is making great strides in terms of body diversity. Plus size models are appearing in the fashion week circuit, on magazine covers, in campaigns, etc. But are they really “great strides?” Could it be that the fashion industry has made body discrimination and exclusion such a permanent way of operating, that the inclusion of plus size women starts to seem ground-breaking? 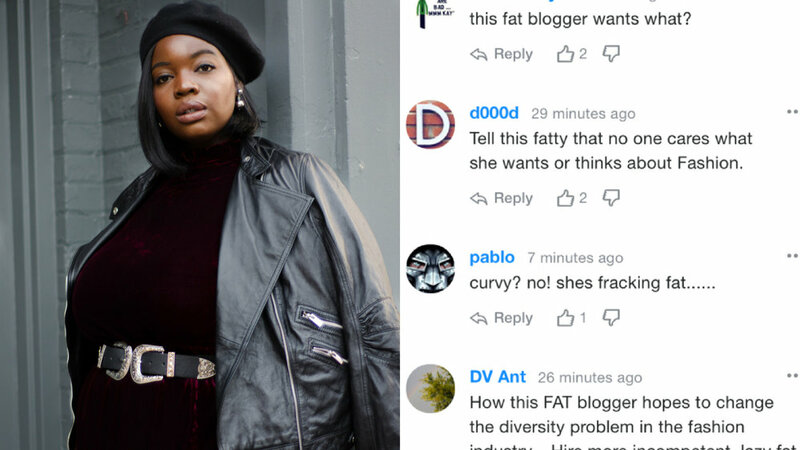 While the comments above may have been made by random people with no experience in the fashion industry, aren't their sentiments echoed by the industry itself when plus size women are consistently excluded? The Fashion Spot reported, “[In the Spring 2018 season], two exclusively plus-size lines showed in New York, greatly inflating the total number of plus-size castings…With neither Torrid nor Addition Elle returning to the calendar this February, we’ll be looking at the number 34." The results were worse than expected. During the F/W 2018 NYFW season, "26 plus-size models walked in 8 New York shows, accounting for 1.1 percent of all castings.” The real tragedy is that over half of the plus size models who were booked were in just two shows, Christian Siriano with 10 plus models and Chromat with 9. I love fashion for reasons that have nothing to do with my size. I’ve loved fashion since I was a little girl. My grandma taught me how to sew, the women in my family are incredibly stylish, and there’s just something about putting a look together that makes me happy. As a child, I would watch as my sister and cousins got to wear cute, bright and stylish clothes because it came in their size, while I didn’t have any options. So, the truth is, I’ve always loved fashion, but the FASHION INDUSTRY hasn’t always loved me. Yes, I have way more options today than I ever did, be we still have a long way to go. 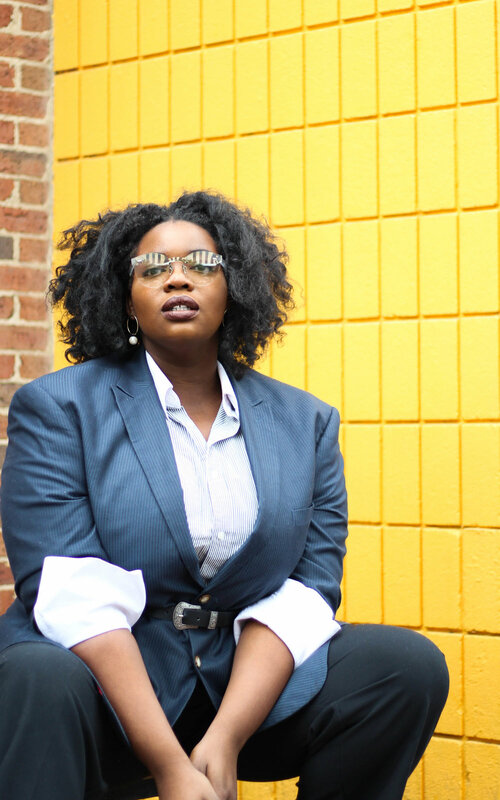 I asked 14 other plus size women, “why do you like fashion?” Check out their answers below and celebrate these beautiful women!